3.) 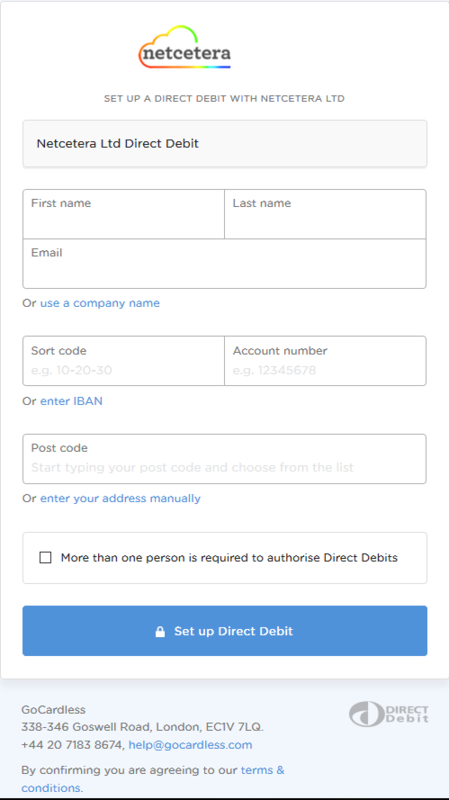 Complete the Direct Debit Mandate,and press Set up Direct Debit - you can now pay invoices by Direct Debit. Please Note:You need to click on each unpaid invoice you wish to pay using Direct Debit,please also not that your Direct Debit may take up to 10 days to process with your bank.